Whenever a list is compiled of Australias best Sprintcar drivers, there are some names that will inevitably appear, and with good reason. Their records of success, either here or overseas, make it impossible to leave them out of such a compilation and Brisbane speedway fans will get to see five of this elite group in action this weekend when they contest the Titan Garages Australian Sprintcar Open at Ausdeck Patios Archerfield Speedway on Friday and Saturday nights (January 4 & 5). Amongst the entries for the prestigious event, which doubles as round six of the World Series Sprintcar Championship, will be Kerry Madsen, James McFadden, Jamie Veal, Brooke Tatnell and Steven Lines, all of whom are certain inclusions on any list documenting the very best drivers in the nation. The fact that they will be taking on the worlds best driver in North Dakotas Donny Schatz sets the scene for a monumental showdown and, when you add fellow Americans Logan Schuchart and Carson Macedo into the mix, the 50-lap Australian Open feature race on Saturday night is shaping as something very special indeed. It should hardly come as a surprise that Schatz has been the dominant driver in the Australian Open since its inception, winning the event seven times, including his unforgettable performance in 2009 when he lapped the entire field. Schatz heads into the event as the defending champion with Madsen (twice), Tatnell and McFadden the only other drivers in the field who have won the race in its 22-year history. Although many have tried, no other American has won the race, which will no doubt serve as motivation for Macedo and Schuchart to create history and add their name to the Australian Open honour roll. In addition to the big names, there is a heady list of drivers from across the country chasing the $20 000 first prize on offer to the Australian Open champion, with an entry list that includes a fertile mix of veterans and newcomers alike, with every state represented. Of course, all the local stars will be out in force to defend their territory and send the interstaters and the Americans home empty-handed. Amongst those contesting Queensland biggest annual Sprintcar event will be Sydneyâ€™s Jessie Attard and Michael Saller, who is a feature race winner at Archerfield, and a trio of Victorians in Jack Lee, Jye OKeefe and Rusty Hickman. Western Australian will be represented by Mitchell Wormall and Jason Pryde, with South Australia also fielding two entries in Glen Sutherland and Brad Keller. Tasmanias Jock Goodyer and Danny Porter from the Northern Territory complete the interstate component of a 38-car field that includes the return of local young guns Lachlan McHugh and Jayden Peacock, both of whom have been interstate in recent weeks contesting the opening five rounds of WSS competition. 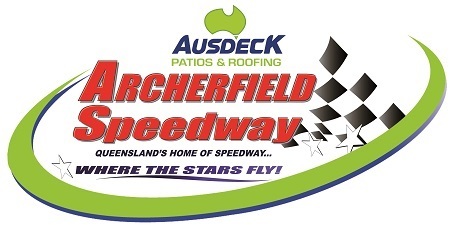 It is Lines who currently sits atop the World Series standings heading into the Queensland leg of the championship, which concludes with another show at Archerfield on Wednesday, January 9. The South Australian won the annual Speedweek tournament that comprises the first five rounds and he sits 45 points ahead of Australian champ Madsen, with McFadden just 11 points further back in third spot. Of the locals, the form drivers at the moment are indisputably Luke Oldfield, Mitchell Gee, Peter Lack and Andrew Scheuerle. Of these, Oldfield, Scheuerle and Lack have won World Series rounds, are feature race winners this season and have provided Schatz with his toughest opposition, while Geeâ€™s Queensland Championship victory last season shows he can win at the highest level. Brent Kratzmann, Kevin Titman and Brent Aprile are certainly capable of featuring at the front of the field, but they will need to be at their very best every time they hit the track if they intend to contend, while Darren Jensen has produced a couple of really good runs in recent weeks and, having spent several years as a WSS contracted driver, he understands what is needed to be successful under this format. In addition to the Sprintcar action, Friday night will also see a strong field of Midgets contest the Stan Burrow Stampede, which is also round six of the Polar Ice Track Championship, with previous round winner Adam Clarke from Newcastle returning to take on the likes of Darren Vine, Charlie Brown and Rusty Whittaker. Both Whittaker and Vine have also clocked feature race wins this season, while Brown brought the crowd alive at the last round with a terrific run on the highline that ultimately propelled him into second spot and he will relish the opportunity to replicate his heroics for an even bigger audience this weekend. Lightning Sprints and Formula 500 Juniors will also feature on Friday evening, while the Saturday night support program will comprise AMCA Nationals, Formula 500s and Wingless Sprints. Gates open at 4.00pm (3.30pm for online ticketholders), with early racing from 5.00pm. Friday night will see Sprintcar time trials from 5.30pm, with the main program will to get underway at 6.00pm on both nights.